On the way to Terrell, with Abigale in the passenger seat, I stopped in Dallas to pick up a new opossum from another rehabber. They rode together in Abigale’s carrier up to WCCR, and got aquainted in their new enclosure. Abigale is still thin, and not acting quite normal. She got wormed today, and a fresh plate of food. Wet cat food! Yum! This is Opossum Hollow. WCCR is equiped to handle massive amounts of wildlife. Last year, more than 4,000 animals came through our doors. 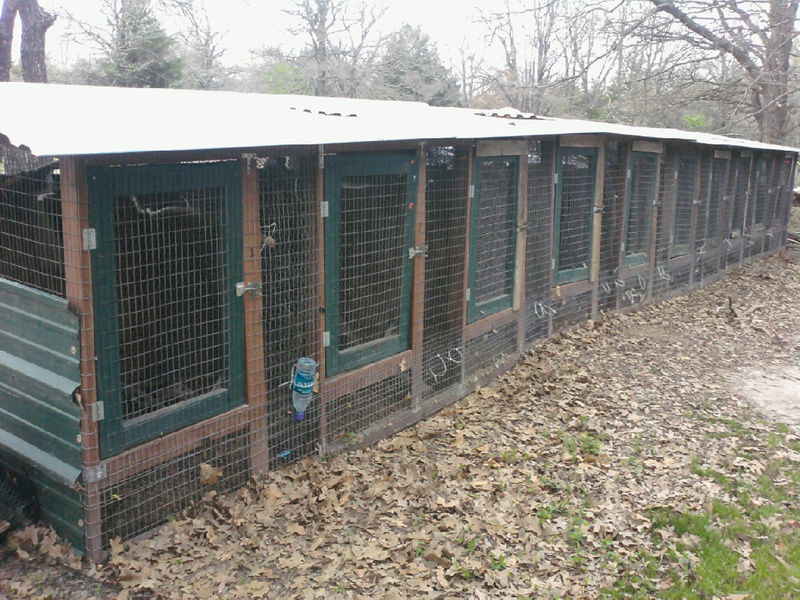 The first enclosure is the only one with opossums in it. 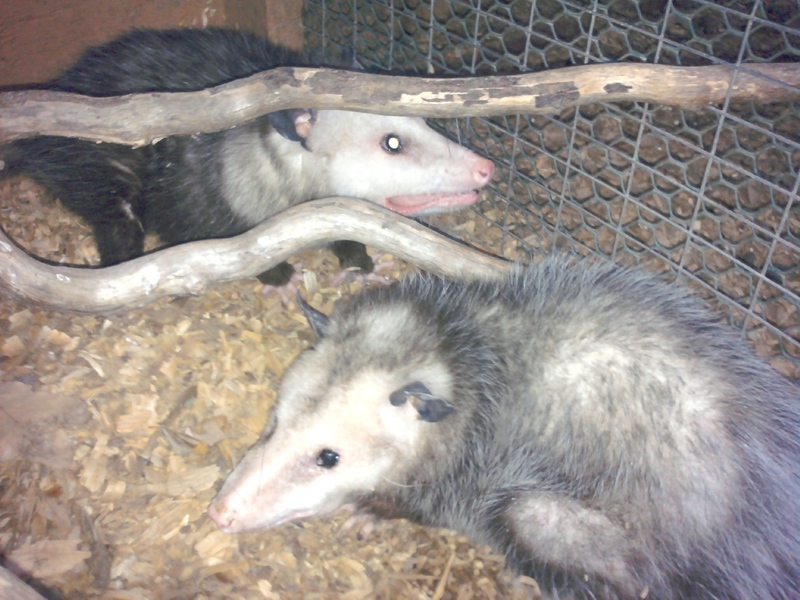 Normally, durring the busy season, all of these would have opossums in them. Right now, Abigale, and her new room mate (named Betty) are the only ones. This entry was posted on March 14, 2011 by The Wildlife Center at Crosstimbers Ranch. It was filed under wildlife rehabilitation, WREN project and was tagged with Business, Cat food, Dallas, Enclosure, Opossum, Pet Food, Pet Supplies, Rabies.